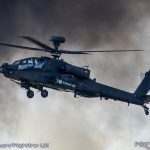 Smoke on! 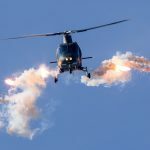 The world-class Red Arrows will lead the Royal Air Force’s centenary involvement at this year’s RNAS Yeovilton International Air Day on Saturday 7 July. 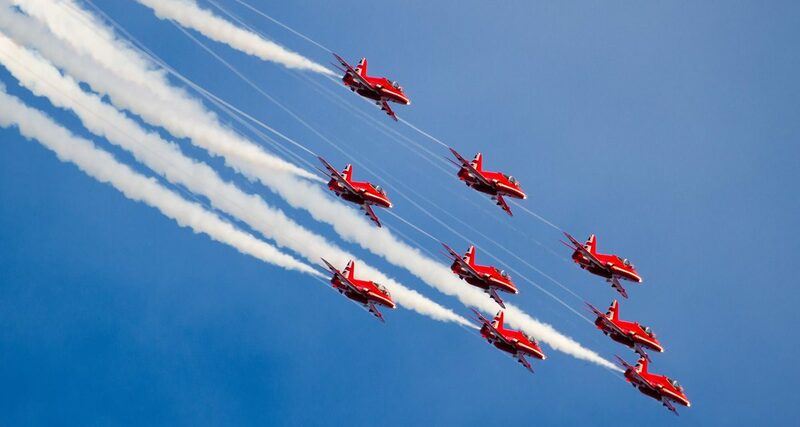 The RAF has had the Red Arrows as its official aerobatic team for over half its lifespan. Flying their nine red-painted BAe Hawk T1 jet trainers, 2018’s Red Arrows are led by a new ‘Red 1’, Squadron Leader Martin Pert. 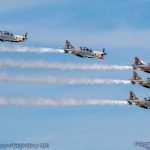 The team’s all-action routine is sure to be an Air Day highlight once more, peaking with the Synchro Pair’s breath-taking crossing manoeuvres. 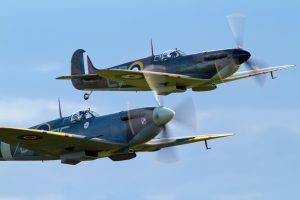 Joining the RAF convoy are a pair of Supermarine Spitfires, from the Royal Air Force’s Battle of Britain Memorial Flight based at RAF Coningsby. 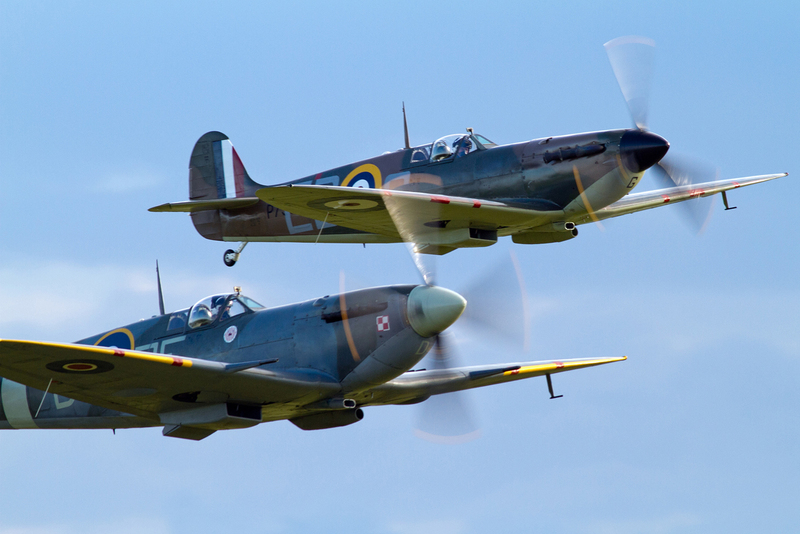 A landmark RAF type, the immortal Spitfire is among the most famous of WW2 fighters. Also inbound is Dakota III ZA947: the flight’s example of US manufacturer Douglas’ ubiquitous twin-engine transport aircraft. In its No. 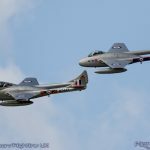 233 Squadron D-Day markings, the BBMF Dakota adds further RAF100 flavour to the show. Bring the noise! 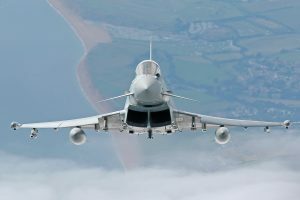 The Typhoon FGR4 will be showcasing the sharp end of the RAF. 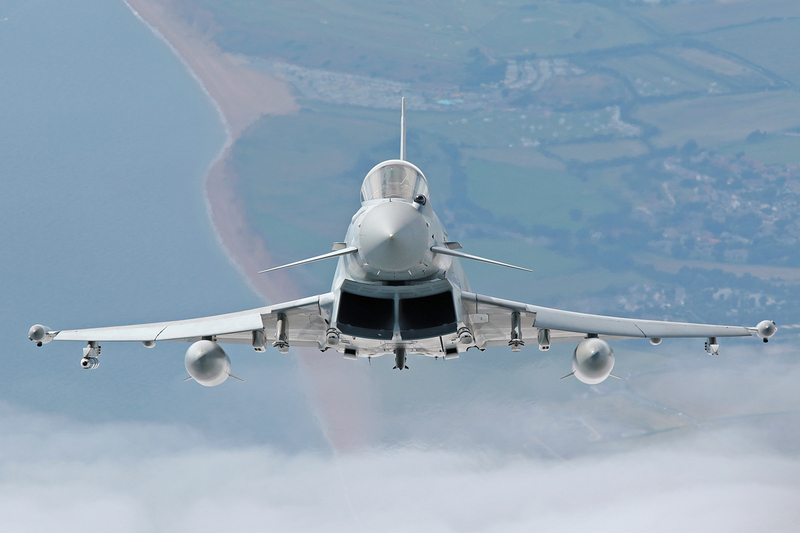 A true multirole combat aircraft, the Typhoon’s taskings include UK QRA (Quick Reaction Alert) duties, air-to-air combat, air policing and peace support. 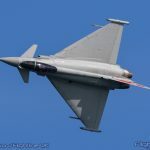 Demonstrating the type’s outstanding performance capability will be Flight Lieutenant Jim Peterson, this year’s RAF Typhoon Display Team pilot. The uniquely airworthy Bristol Sycamore will also be delivering some RAF100 zest to the show. 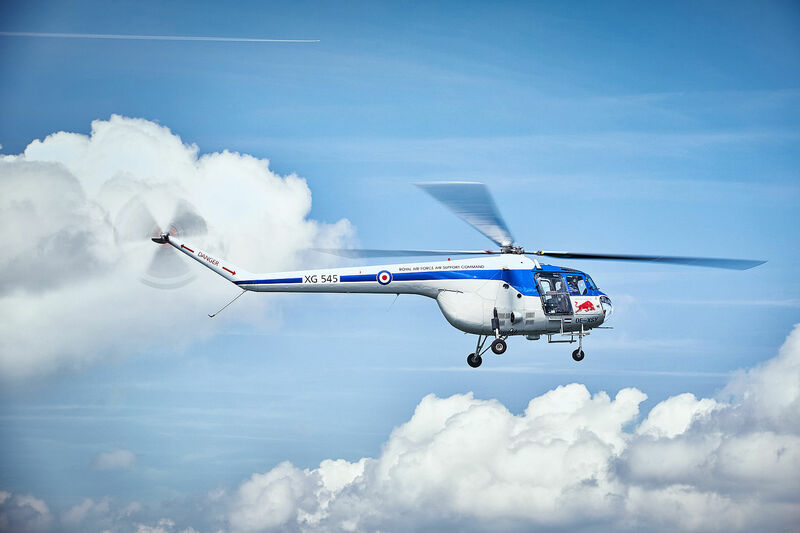 Entering RAF service ahead of all other British-designed helicopters, the Sycamore was a real rotary pioneer. It was first flown in July 1947, barely two years after the end of WW2. Less than a dozen Sycamores now remain and this one, as the world’s only flyer, brings distinction and rarity to Air Day. 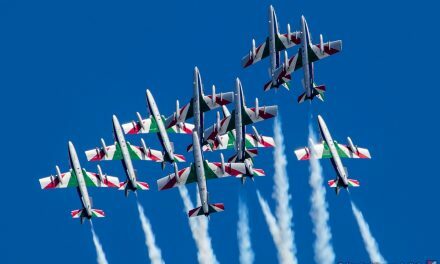 AIRSHOW NEWS: Last chance for Air Tattoo earlybirds!